We didn’t intend to homeschool. Our son attended pre-k and kindergarten in public school. I had the typical my baby’s going to school all day pangs, but that was the norm, so I dealt with it. Pre-k was fairly smooth, but things started getting bumpy in kindergarten. One day my little guy came home from school and said, “Mom, would you please homeschool me? School is chaos!” Tears became part of our bedtime routine, crowding out our stories and prayers. I was at a loss. I’d loved school as a child. I couldn’t understand what was causing our son so much anxiety. I started researching homeschooling and began husband negotiations. (He took a little convincing at first.) We agreed to try homeschooling for first grade and then reevaluate. We’ve never looked back. Our early homeschooling style was influenced by some of Ruth Beechick’s writings. I really liked her simple approach: a relaxed focus on the three Rs with lots of free time and read-alouds. I followed her guidelines for 1st to 3rdgrade (except for the copy work, as my son has dysgraphia). During this time, I noticed how naturally learning was occurring in other areas. 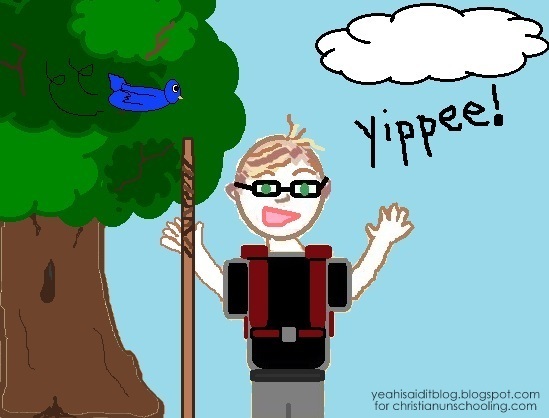 I learned about unschooling when my son was in 3rd grade. To be honest, the idea freaked me out! 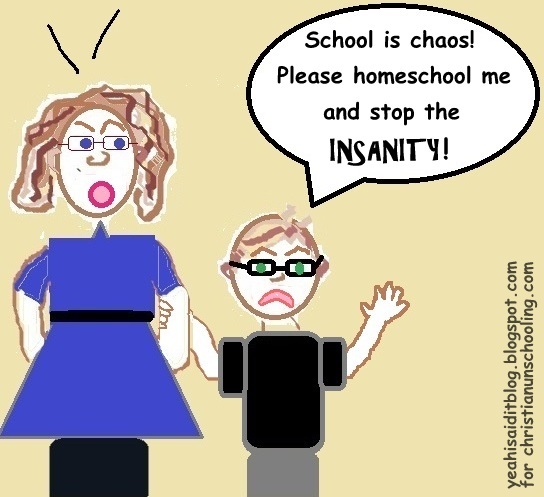 My son experienced public school as chaos, but that’s what unschooling sounded like to me. Even so, by this time we’d tried everything else. 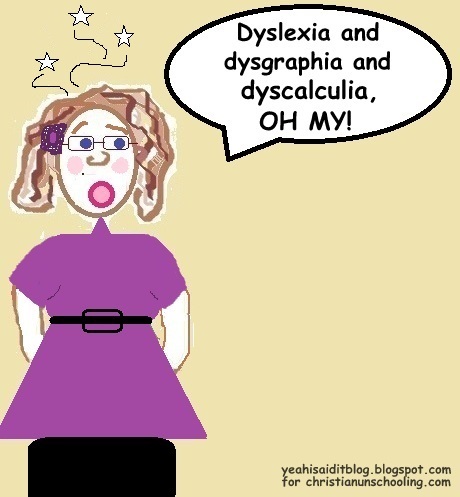 We’d discovered other learning differences (dyslexia and dyscalculia) and I realized that I was going to have to step outside of my comfort zone and be the homeschool mom my son needed–even if it made me go prematurely gray! God knows the plans He has for our children. He created them to be perfectly suited for what He is calling them to do in their lives. Our job is to help our kids discover what God’s purpose for them is, and to aid them in acquiring the knowledge and skills they need to follow their calling. If we spend all of our time trying to remediate our children’s academic “weaknesses,” we won’t be helping them to develop their strengths. And their strengths are what God is going to use. 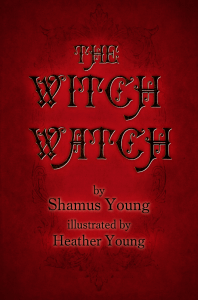 Today we’re giving away an ebook copy of The Witch Watch, a novel by one of our very own CU dads. For a chance to win, leave a comment with your email address and perhaps share with us your initial reluctance toward unschooling. Winner will be chosen in one week on Monday, April 23.